What to expect from Eastern Europe’s football clubs in the Europa League? The Europa League last 32 has been drawn and teams from the Champions League now enter the competition. The road to the final in Baku is filled with four stops as teams must navigate the tricky waters of knockout football. Fans of teams in the last 32 can use the Sugar House promo code to keep abreast of all the odds ahead of kickoff. Watch the Champions League and Europa League live. Book your custom European football travel tour by visiting Nickes! Eastern Europe has a number of teams fighting for a place in Baku. The Czech Republic, Croatia, Belarus, Ukraine, and Russia all have sides still competing in the Europa League. Can any team from Eastern Europe win the tournament? It is a difficult road, but one may be left standing in May. Viktoria Plzen and Slavia Prague are the Czech Republic’s representatives still in the Europa League. Viktoria join the Europa League after crashing out of the Champions League. Fans wanting to see real football will have the chance when Viktoria kickoff their campaign. The club notably beat CSKA Moscow and Roma in Group G to finish third. Viktoria will clash with Croatia’s Dinamo Zagreb. Slavia Prague will play Belgian side Genk in the last 32. Slavia finished second in Group C behind Zenit St. Petersburg. The team obtained 10 points despite only scoring four goals in the group stage. Slavia should struggle against Genk. The Belgians topped Group I scoring 14 goals and allowing just eight. Dinamo Zagreb topped Group D with 14 points from 18 possible. The Croatians were six points better off than second place Fenerbahce. Meanwhile, Slovak club Spartak Trnava and Belgium’s Anderlecht finished in third and fourth place, respectively. Dinamo and Viktoria should put on an entertaining two-legged tie. The clubs will meet on Thursday 14thof February in Plzen before playing seven days later in Croatia. BATE Borisov have an unenviable task of playing English Premier League side Arsenal in the last 32. 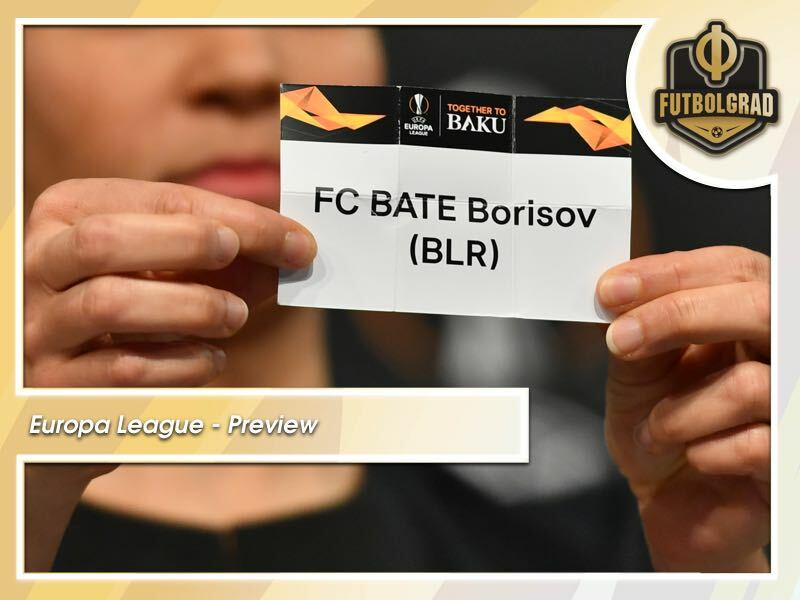 BATE have been regulars in European competition over the last decade, but Arsenal won’t be an easy team to beat. The Gunners have been revived under manager Unai Emery and until recently reeled off a 20-plus game unbeaten run in all competitions. BATE have already played English competition this season. They faced Chelsea in Group L failing to win either game. Two Ukrainian sides will play in the Europa League last 32. 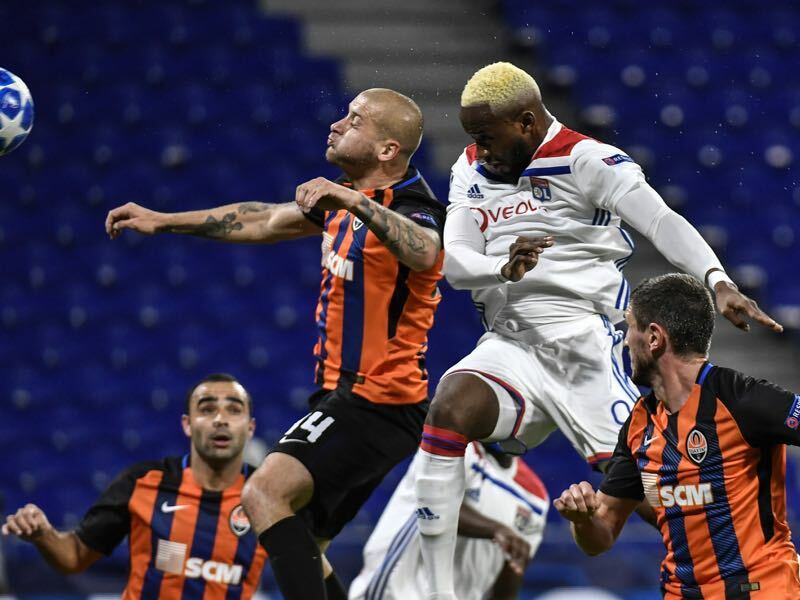 Dynamo Kyiv will face Olympiacos having finished top of Group K. Dynamo topped the group with 11 points from 18 and finished just ahead of France’s Rennes. Shakhtar Donetsk join the Europa League having finished third in Champions League Group F. Shakhtar’s only blemishes on their Champions League record were losses to Manchester City. They did draw twice with France’s Lyon. Shakhtar will play Germany’s high-flying Eintracht Frankfurt. The Eagles won 18 points from 18 possible in the group stage and are one of the hottest teams in the competition. 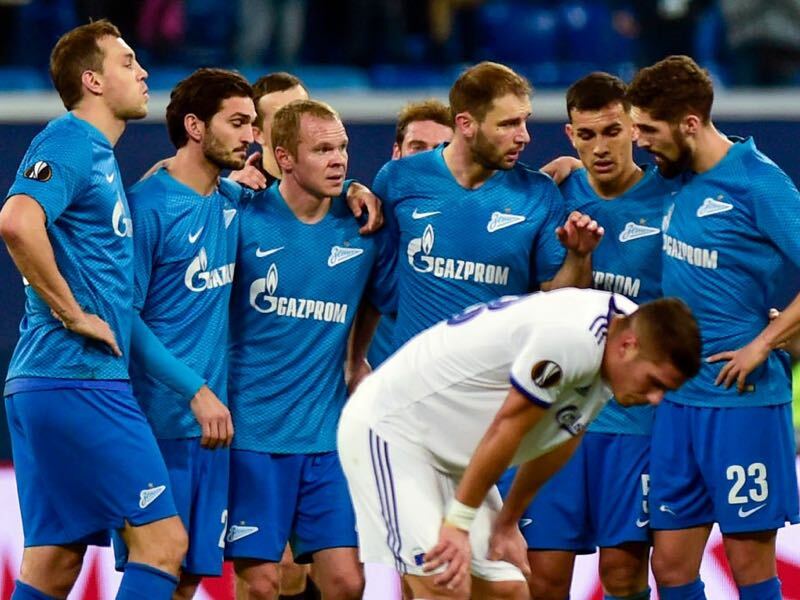 Former Europa League winners Zenit St. Petersburg will play Turkey’s Fenerbahce. It is a tasty tie on paper as both teams are major names in European football. Zenit topped Group C with 11 points from 18 possible, while Fenerbahce were third-best in their Champions League group. Russia’s Krasnador will take on Germany’s Bayer Leverkusen. Manager Murad Musaev will have his work cut out for him. Krasnador finished with 12 points from 18 and finished level with Sevilla in Group J. However, the team’s 0-goal difference meant Sevilla won the group. Bayer topped Group A and will be a challenge for Krasnador from the get-go. Krasnador has made it past the last 32 just once in their history. That came in 2016/17 after they beat Fenerbahce in the round of 32.